Jack Hunter, in Miami on advertising business, learns that his ex-wife was found dead in Los Angeles. 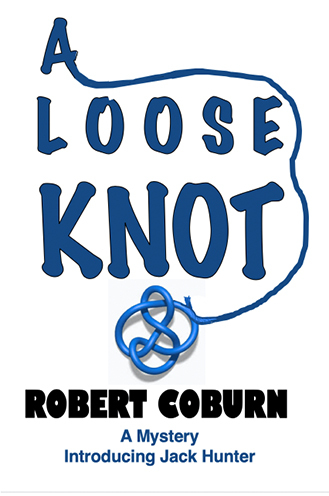 The next morning an LAPD detective shows up at his hotel with uncomfortable questions Jack can't satisfactorily answer. 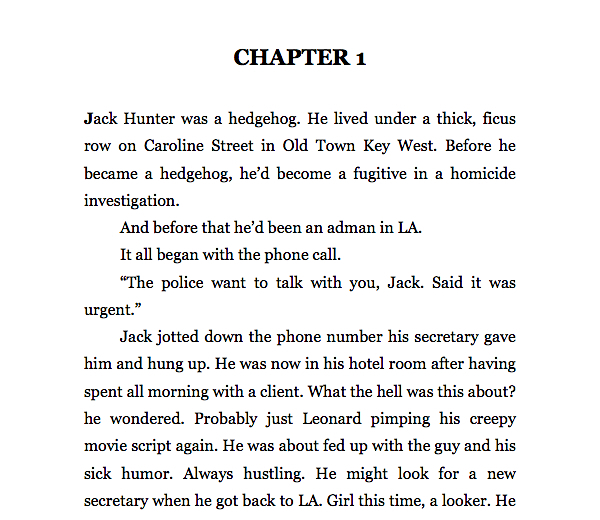 Thirty minutes later, Jack is a fugitive on the run for Key West. Broke, homeless, living by his wits and always looking over his shoulder, Jack gets help from an eclectic and eccentric group of characters, sweet of soul, that one can find only in a quirky place like Key West. But no help comes from a couple of twisted individuals. The action moves quickly between Key West and LA, with neither side knowing fully what the other is up to. And Jack discovers that, while Key West is a place of unforgettable charm and beauty, it can also be a loose knot ready to slip in a minute, sending all bets spinning away with the tide.